Dream Villas in Lahore is located at main Khayaba-e-Jinnah few minutes drive from Valencia Town, Wapda town and Expo centre. 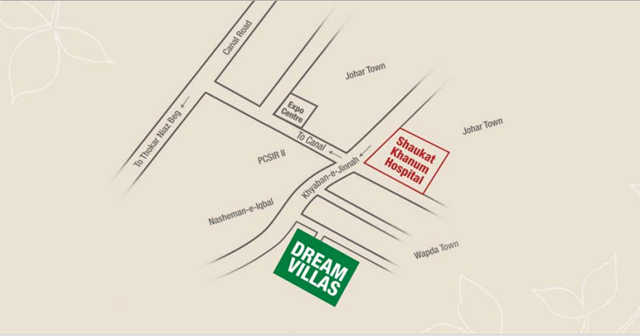 Project is also 3 minutes drive from Shuakat Khanam Hospital. Address: 3-Km from Shaukat Khanum Hospital Khayaban-e-Jinnah, Adjacent Wapda Town, Lahore. Do you have a house 8 marla available.